Hi there! I just found your blog today, and am cracking up. Also, I agree with you about the guacamame, which I’m currently eating at work — so mediocre. I’m curious about these dumplings: are they vegetarian? I know you wrote “oyster sauce”, but sometimes (especially in cheaper versions) the oyster sauce is actually made from mushrooms and other vegetarian ingredients. Can you tell from the package whether these contain real, fish-based oyster sauce, or if it is a vegetarian dish? Thank you!! They sound amazing. They actually have oyster in them so no, not vegetarian. But do not be too sad about missing out on them. I tried them today and they are awful! I threw a few in the microwave and it smelled like I was heating up cat pee. I almost didn’t want to try them because of the smell but did take one bite and immediately spit it out and threw them away. I had to light a candle to get the smell out of my kitchen. 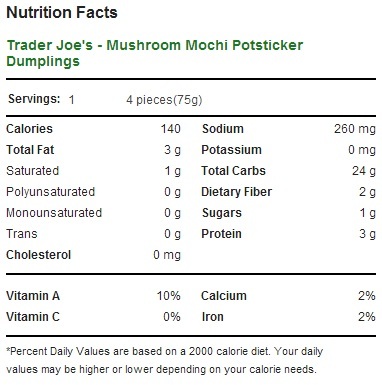 Trader Joe’s, l love you and your food but what were you thinking with these? LOL I am so happy someone else agrees with me! 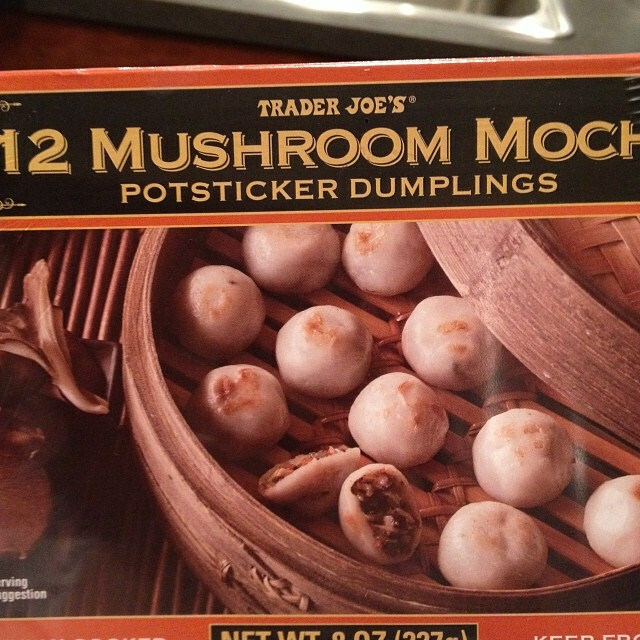 I love mushrooms but the taste of these mocha was horrifying at best. I pan fried them per the box directions and they looked lovely but boy was I wrong. I think I told my husband they tasted like really stinky feet. I, too, spit out the bite I took while my husband choked it down. Needless to say we threw the rest out. Super disappointing! The stinky smell is fermented bamboo shoots. But fear not, I was told that TJ’s has discontinued this item. They should re-introduce them without fermenting the bamboo shoots and making them 100% vegetarian.